as the Wolff-Chaikoff effect. This inhibitory effect in intact animals is only transient, probably because the iodide transport system in the follicular cells undergoes some type of adaptation that results in a reduction in intracellular iodide levels. The adaptation to the circumstances of excess iodide appears to be due to a decrease in the unidirectional influx of iodide caused by an increase in the Km for the pump. TSH. Basically, interaction of TSH with its membrane receptor on the follicular cell results in pinocytosis of Tg from the colloid, followed by Tg digestion and subsequent hormone release. At the apical cell membrane-colloid interface, colloid (Tg) is engulfed into a colloid vesicle by the processes of both macropinocytosis and micropinocytosis, so that Tg is delivered inside the follicular cell. The rate of pinocytosis is proportional to the magnitude of the TSH stimulus. Then lysosomes (containing proteolytic enzymes, endopeptidases, cathepsin B, phosphatases) fuse with the colloid vesicles, and hydrolysis of thyroglobulin ensues. This results in the release of Tu T3, DIT, MIT, and an assortment of peptide fragments and free amino acids. The predominant thyroid hormone product released from Tg is T4, with lesser amounts of T3, rT3, and monoiodinated tyrosines. Under normal physiological circumstances, T4 is the chief thyroid hormone secreted by the thyroid; in toto, 80-90 ¿tg of T4 is released per day, while only 8 ¡xg of T3 and 1 /¿g of rT3 are released per day. The mechanism by which T4 and T3 are released into circulation is unknown. Not only is TSH a stimulator of T4 and T3 release, but vasointestinal peptide (VIP) and /3-adrenergic agonists, both acting through an adenylcyclase-cAMP pathway, and for-skolin, acting through a PKC pathway, have been shown to stimulate the release of T3 and T4. Approximately 80% of the T4 secreted is deiodinated further in peripheral tissues to generate additional T3. Normally the ratio of iodotyrosines to iodothyro-nines in the thyroid gland is approximately 4:1. Approximately 25% of the iodide derived from tyrosine is lost to the blood; thus, the secretion of iodothyro-nines and the loss of inorganic iodide by the thyroid gland are comparable. 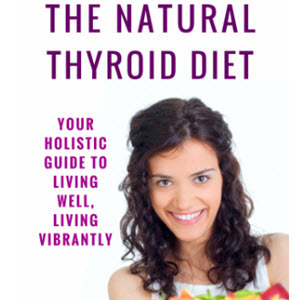 It is significant that the amount of iodide recaptured per day by the thyroid gland is 2-3 times the amount of "new" iodide captured by the gland from the blood. The monoiodotyrosines released from the thyroglobulin that do not leave the gland are rapidly deiodinated inside the gland by an NADPH-dependent microsomal flavoprotein deiodinase. This enzyme has little affinity for iodothyronine compounds. The physiological regulation of the secretion of the thyroid hormone is a complex system that involves, in addition to the thyroid gland, participation by the hypothalamus, pituitary, and neural activity. In addition to the thyroid-piuitary-hypothalamus feedback control loop, a neural control of thyroid metabolism has been proposed. The activity of the thyroid-pituitary loop is a balance between the peripheral consumption/catabolism of T4/T3 and the combined hypothalamic and feedback actions of T4 + T3 on the pituitary secretion of TSH. Each day the body catabolizes ~100 /Ag of T4 and 30 /Ag of T3. These lost hormones are replenished by the secretion of new T4 + T3 by the thyroid; as the blood levels of T4 + T3 fall, this is sensed by the hypothalamus with a resultant increase in the secretion of TSH by the pituitary. The thyroid hormones, T4 + T3, do not appear to have negative feedback influence on the hypothalamus. The role of the hypothalamus is to stimulate the pituitary to biosynthesize and secrete TSH through the action of thyrotropin-releasing hormone (TRH) (see Chapter 5). The set point for the control of the system lies largely in the thyrotropes of the anterior pituitary. Thyroid hormones, through interaction with nuclear receptor, suppress at the transcriptional level the synthesis of prepro-TSH in thyrotropes in the anterior pituitary (see Chapter 5). This represents the classic negative feedback loop of the pituitary-thyroid endocrine axis. In addition, some negative feedback actions of T3 are believed to be at the hypothalamus. TRH release from the hypothalamus, which travels to the pituitary via hypophyseal portal vessels, interacts with the pituicyte membrane at specific receptor sites, leading to an activation of adenyl cyclase and an increase in intracellular cAMP (see Chapter 5). This causes increased synthesis and secretion of TSH, which in its initial phases is not dependent upon protein synthesis. The blood of many hyperthyroid subjects contains a substance known as "long-acting thyroid stimulator" or LATS. Other terminology for LATS reclassifies them into mouse thyroid-stimulating autoantibodies (MTS) or human thyroid-stimulating autoantibodies (HTS). Physiologically, LATS is capable of mimicking, over a somewhat slower time interval, all of the actions of TSH (10-12 hr instead of 2 hr for TSH) and the stimulation of thyroid follicular cell adenylate cyclase and the consequent cascade of metabolic events, which lead to increased secretion of T4 + T3. dependent lymphocytes. The molecular basis of the biological action(s) of LATS is that the antibody is postulated to be complementary to the TSH receptor protein in the basal membrane of the thyroid follicular cell. An important difference between LATS and TSH is that the production of LATS is not suppressed by high blood levels of the thyroid hormones. Thus, LATS production is believed to be the pathophysiological mechanism leading to the generation of Graves' disease or hyperthyroidism. Table 6-2 lists the blood concentrations and kinetics in humans of the principal iodine-containing compounds. The main secretory product of the thyroid is T4. Thyroxine is present in the blood at a concentration of 40-100 times that of T3. The concentrations of DIT and TETRAC are comparable to that of T3 (i.e., —110140 ng/ml). The blood level of reverse T3 is -30-50% of that of T3 and 1% of that of T4. TABLE 6-2 Kinetics of T4, T3, and rT3 Metabolism in Normal Human Subjects"